KIROLBET Baskonia Vitoria Gasteiz won six straight games late in the regular season a year ago to climb into the playoffs and is betting that the players who had the team close to challenging for a Final Four berth can do the same this season with European basketball's showcase event being held on the team's home floor. To that end, Baskonia returns five of its top six scorers from last season and only signed three new players. Darrun Hilliard will make his European debut and will be looked upon to provide some scoring punch. Small forward Shavon Shields brings excellent shooting and outstanding defense. And big man Ajdin Penava gives Coach Pedro Martinez a defensive force in the paint. Together, these three newcomers will give a boost to last season's tight-knit and talented squad to try to take Baskonia to the Home of Glory! Baskonia has as deep a backcourt as any in the league with three players capable of playing big minutes at point guard on any given night. Jayson Granger started most of the time last season and will probably have a similar role as a tough, dynamic player and team leader. Fearless with the ball in his hands as he attacks the rim, Granger also set career highs in assists and three-point shooting last season. Marcelinho Huertas is the senior-most player on the squad and a wizard with the ball in his hands. Not only effective, his flashy play thrills the fans as he runs the offense. As a EuroLeague rookie last season, Luca Vildoza's change of pace off the bench fueled the second unit. With quick hands on defense, great court vision and a reliable perimeter shot, Vildoza figures to have an even bigger role this season. 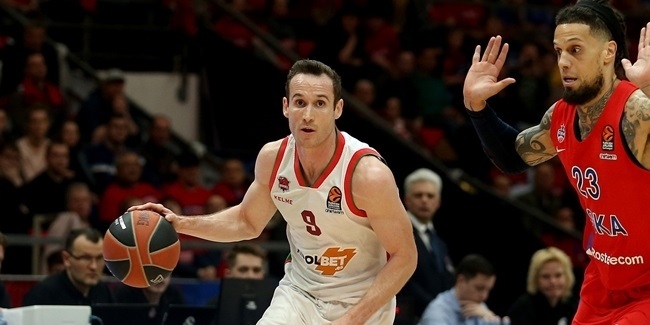 Though Coach Martinez can play with multiple point guards, when Baskonia employs a more traditional look Hilliard and Matt Janning will share minutes at shooting guard. Hilliard has found ways to score everywhere he has played and this season should be no exception. Janning, who enters his fifth EuroLeague campaign, is a lights-out three-point marksman and a strong defender. Shields is a strong and clever player, who should have little trouble adjusting to the EuroLeague, while fellow small forward Patricio Garino could be in line for a big year after showing promise last year in his maiden EuroLeague season. The club has been banking on Tadas Sedekerskis to play a big role since he was signed as a 15-year old. After a season on loan in his native Lithuania, Sedekerskis is back to fight for minutes at small forward. Teenage swingman Miguel Gonzalez has been a key player for the Spanish national team at the junior levels – including on the silver-medal winning squad at the Under-18 European Championships in 2017 – and after debuting in the EuroLeague last season will try to play himself into games on a more regular basis. As the youngest player on the squad, Arturs Kurucs will gain experience from the seasoned pros around him as he grows his game into the future star the management at the club hopes he can become. Toko Shengelia comes off the best season of his career and was named to the All-EuroLeague team. He is at the prime of his career at age 28. Not only is he one of the premier power forwards in the competition, but Shengelia can also play center when Baskonia wants to go small. It goes without saying that Shengelia is the centerpiece of the frontline. Center Vincent Poirier made a stellar EuroLeague debut last season, pairing size, speed and strength together. He forms a fantastic duo alongside Shengelia and makes an impact in the paint on both ends. Johannes Voigtmann is a modern big man with the size of a classic center and the outside touch of a star shooter. After leading the league in three-point accuracy (57.7%) last season, teams can't leave him open outside, but must forgo a big defender to stay on him. With 106 games in five EuroLeague season under his belt, it's hard to remember that Ilimane Diop is just 23 years old. Diop's length makes him a dangerous defender and shot blocker. A native of Bosnia and Herzegovina, the 21-year-old Penava spent the past three seasons playing college basketball at Marshall University in the United States, where he emerged as a shot-blocking force. He will make his EuroLeague debut with Baskonia, which sees him as part of its long-term plans. Teenage forward Raieste is a product of the Baskonia junior system and will get his first taste of top-level basketball this season. When choosing a starting center in the Turkish Airlines EuroLeague, you need a player who can handle facing the strength of CSKA Moscow's Kyle Hines, the size of Real Madrid's Walter Tavares, the speed of Maccabi FOX Tel Aviv's Alex Tyus and the back-to-the-basket game of Olympiacos Piraeus's Nikola Milutinov game after game. That's what Baskonia had in mind when it signed Vincent Poirier to a multiyear deal last summer, even though he had never played for a team outside his native France to that point. 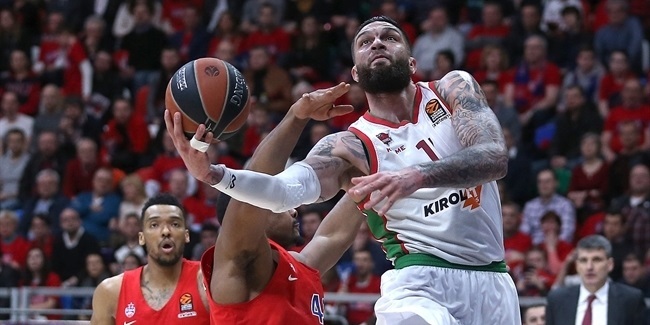 Poirier has proven himself to be strong, mobile, athletic and smart enough to handle all sorts of opponents and now he has a year of EuroLeague experience under his belt, too. If there was a knock on Poirier last season, it was his lack of consistency. If that issue is solved, he may join Toko Shengelia to form the most-dangerous frontline in the EuroLeague. 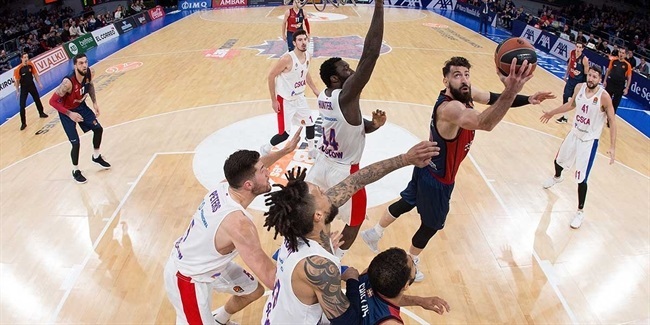 It won't be easy for Baskonia at the start of the season; the team plays three of its first four games on the road – including visits to Final Four participant Zalgiris Kaunas on opening night and to face the champs in the Spanish capital in Round 3. But Baskonia showed last season that it can shake off a rough start and still reach the playoffs. The outlook is promising for a team that knows itself well and has so many veteran leaders. Hilliard and Shields must fill the shoes of Rodrigue Beaubois and Jannis Timma and if they find themselves quickly, Baskonia may just pick up where it left off and be thinking of more than just another playoff appearance.